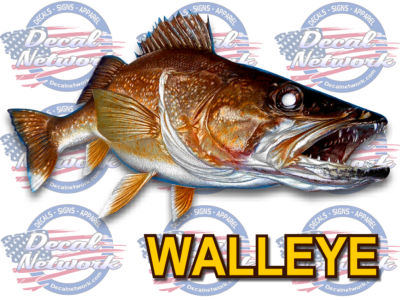 Full color Walleye vinyl decal for your vehicle or boat. Outdoor weather proof. Printed with UV inks and laminated with a glossy clear finish. 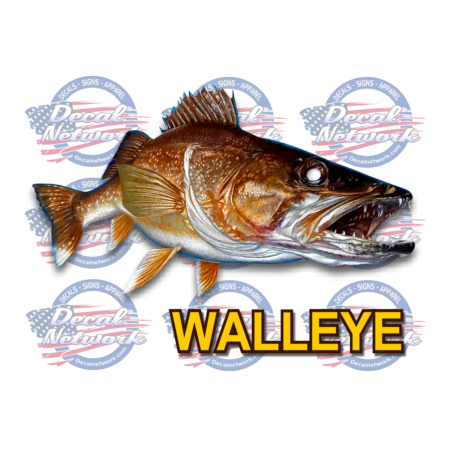 Not only will this great looking Walleye decal look good on your vehicle or boat. They will stick to any clean smooth surface and can be used indoor or outdoor. This vinyl decal is approx. 5.5"x 10" big enough to see the details in the artwork. See the sample below for how it may look on your vehicle.